Vinyl application fluid has been specifically developed to assist when fitting larger vinyls and graphics. It allows for the print to be re-positioned and then squeegee out any trapped liquid, this also prevents bubbles and makes for a perfect application. The formula is designed for fast evaporation and can also be used as a light duty pre-application cleaner. 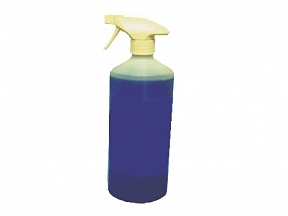 Vinyl application fluid comes in a 1ltr trigger pump bottle ready for use. When using this product it is best to apply the spray to both the surface and the adhesive side of your print.